Manchester City boss Pep Guardiola says that he is confident that his team are capable of winning every game between now and the end of the season as the race for the Premier League crown continues. The reigning champions temporarily reclaimed top spot on Sunday afternoon with a 3-1 win over Crystal Palace before Liverpool managed to beat Chelsea. The respective results mean that City sit second, two points behind the Reds albeit with a game in hand. 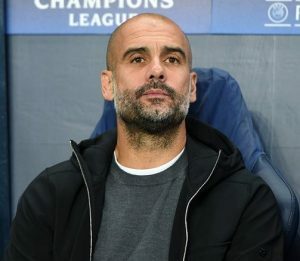 Should the Citizens take maximum points between now and the end of the campaign, they will be named champions – something that Guardiola has faith in his players doing. Talking after the win at Selhurst Park, the Spaniard said: “”It’s incredible this kind of pressure. You’re fighting for back-to-back Premier Leagues. “We think Liverpool will win all the games. We have to win all the games. Tough games – but it’s in our hands. The odds in the race for the title reflect how close it has been throughout the majority of the campaign. Liverpool are available at a price of 1/1 with Paddy Power, whilst Manchester City are slight favourites at 8/11.